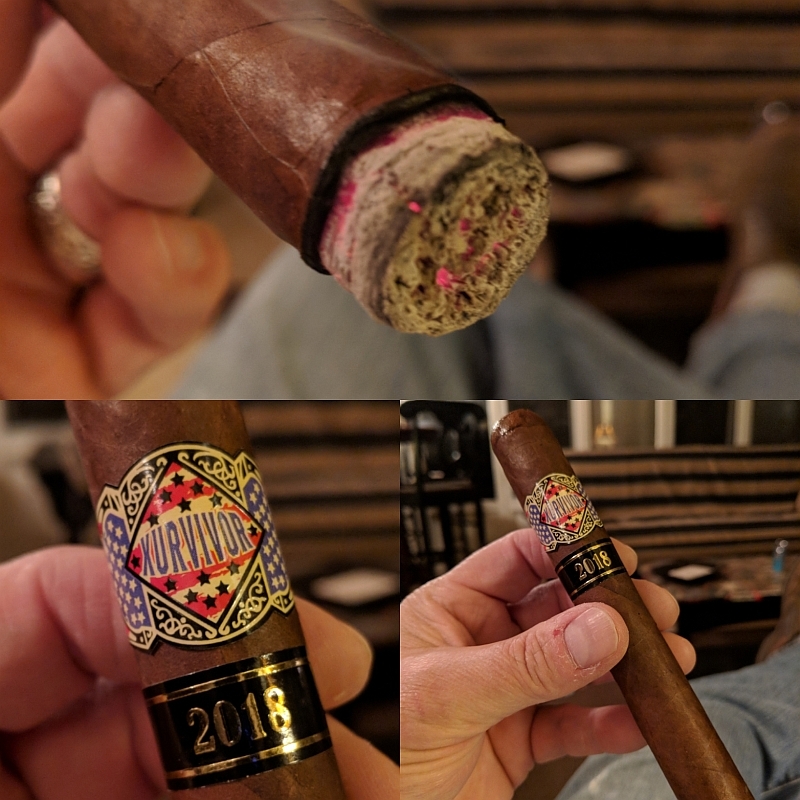 I'd sat down and taken a bunch of pictures of this cigar when we received it from the good folks at E.P. 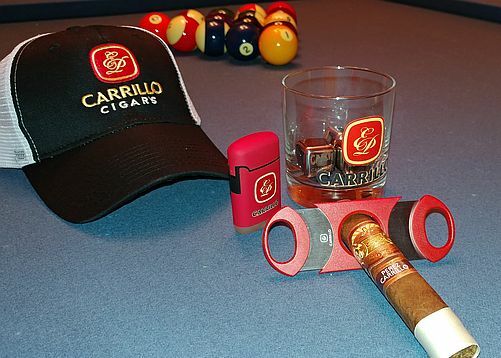 Carrillo cigars - care of their great marketing team. The shipping box, and the presentation of the rocks glass, whisky cubes, cutter and cigar were definately eye catching. And so was the cigar! A beautiful rich brown wrapper, reminicent of a very rich milk chocolate, or the crema on top of a perfect cup of espresso. I'm often telling people that in 2016, on one of my many trips to Naples Florida to help my mother care for my father with cancer, that I was sitting one night in a cigar bar (Vincente of London, to be precise) and I'd taken notice of the La Historia - which was, then, a new cigar. Selecting a La Historia (The don elena, I think, a box press toro) and a pint of guiness I sat down to smoke. Note, this is not a review of that cigar - though I should pen one, because the point of all this is that when I finished my FIRST La Historia, the bartender asked if I wanted another cigar. I hesitated briefly, pondering over my (2nd) guiness) and said - "Yes, you know, I'll have another one of those!". I VERY rarely smoke the same cigar, twice in a row. But the flavors were captivating. And as best as I can recall - the ONLY cigar I smoked two of, back to back, in 2016. 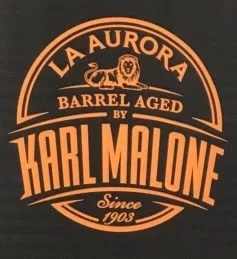 Karl “The Mailman” Malone was at IPCPR promoting his new La Aurora Barrel Aged by Karl Malone. It was a logical step in his moves to delve into the cigar industry. He and his family launched a retail tobacco store in Ruston, La called Legends Cigar and Vape on June 23rd. Malone’s booth also was named IPCPR 2018 Best in Show New Exhibitor. The Candela section of your local B&M is most likely slim, if there is even one at all. So let’s start with a brief history. There's a bit of an argybargy going on in the Forums section of Cigar Weekly and given that Doug is on vacation and John is on emergency medical leave (everything is OK),I am the only one left to publish. I have decided to take a contrarian view. The topic in question is which is more important, flavor or construction. Flavor is miles ahead of construction and poor construction appears to be the deciding factor. 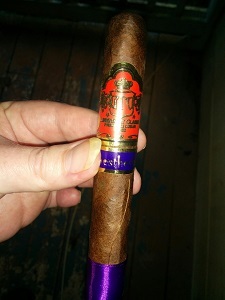 In this review, I'm going to juxtapose a bit, but I really think that this cigar's construction is nearly flawless and I will wait for age to smooth off the cigar's ragged edges. This cigar may not possess a look that's immediately eye catching, especially if you find yourself seeking out a new stick in a store. It’s a rather simple-appearing yet big Robusto sporting a nice dark wrapper with a blue band around the foot. But if you take a closer look, you’ll notice the ring gauge is a little bigger than that of a normal Robusto, and that the wrapper is actually quite beautiful. 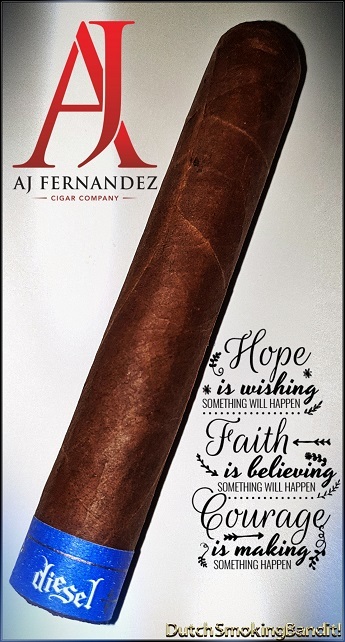 Even better, this AJ Fernandez feels and smells perfect, just as a premium-made cigar should. The wrapper is an Ecuadorian Habano, and it’s as smooth as a shiny mirror. The binder is a Honduran leaf, and the filler comes from Nicaragua and Honduras – a nice combination. First off, I love the ring gauge. The initial aroma includes scents of earth, leather, wood, and a fresh smell that I can’t find the word to properly describe. Time to cut and take a dry puff. The cut requires some real pressure, indicating that the humidity and construction of the cigar are pretty much spot-on. The dry puff reveals a perfect draw, which just makes me want to toast and light the Robusto up and go for the real flavors.